A couple of months ago I went to the "Gateway to Northern Mindanao"- Butuan City. Butuan City is an unfamiliar place to me. Given the fact that it is my first time to set foot in Mindanao and I don't have any relative or friends staying there, I am clueless on what this place has to offer but for some odd reasons I am excited with it, I mean this would be a new adventure for me. For this trip I preferred to travel on air. It would be faster that way and more comfortable at the same time. With this trip I choose to ride in Philippine Airlines. From Manila to Butuan City plane fare cost me PHP 3,528 or USD 76.09 and from Butuan City to Manila it cost me PHP 2,297 or USD 49.54. It took me an hour and 30 minutes from Ninoy Aquino International Airport, Manila to Bancasi Airport or Butuan City Airport. Upon alighting the plane, friendly porter and drivers of van and jeepney greeted me and told me that a private transfer from Butuan Airport to hotel will cost PHP 200.00 or USD 4.31 and Jeepney ride cost PHP 20 to 25.00 or USD .43 or .54. After relaxing for an hour or two, I started my Butuan City adventure. I rented a jeepney for PHP 700 or USD 15.10 to tour the city. I don't have any idea if that was a good deal but I guess it is worth the risk since I don't know anything about the place and the best people to help you familiarize with it are the locals. Butuan, I must say is a highly urbanized city. It is located in the Caraga Region.Known as one of the earliest places where our folks settled and some locals claim that Magellan landed in Butuan first and then to Limasawa. 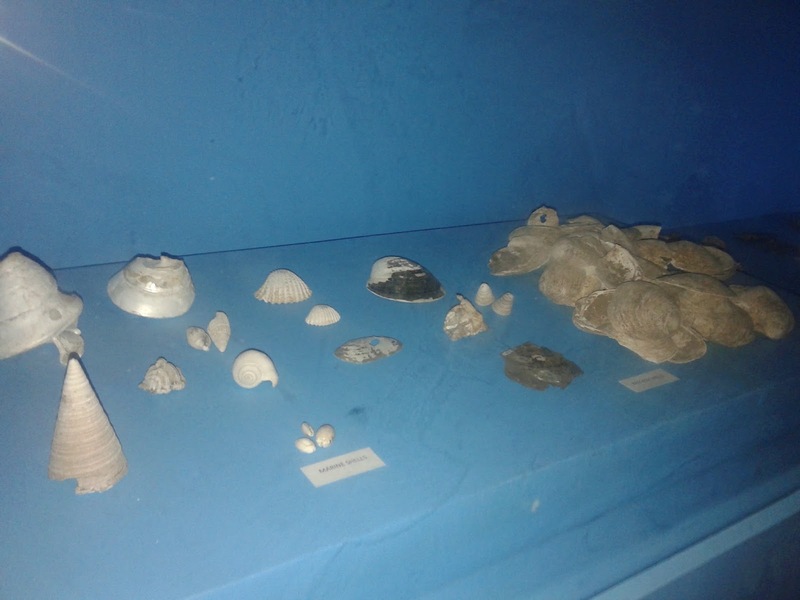 Since it is the primal settling area a lot of artifacts that shows the affluent history of the Philippines were uncovered here. I listed some of the places that I visited in Butuan City that will give you a glimpse of the rich culture and heritage of the Philippines. 1. Bood Promontory Ecopark- The ecopark is situated at a bend in the Masao River or El Rio de Butuan. 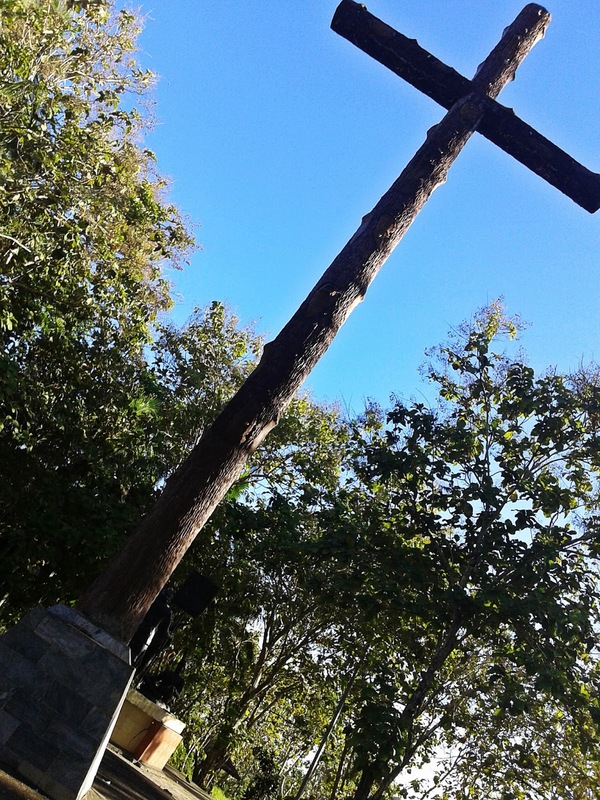 A huge cross will welcome you in Blood Promontory Ecopark. The cross replace the original one that was used during the first Christian mass in the country that took place on March 31, 1521. Though according to Antonio Pigafetta, Magellan's chronicler, the first mass took place in Limasawa or Mazaua, an island in Southern Leyte, and due to that it was declared in 1960 that Limasawa was the site of first mass in the Philippines. 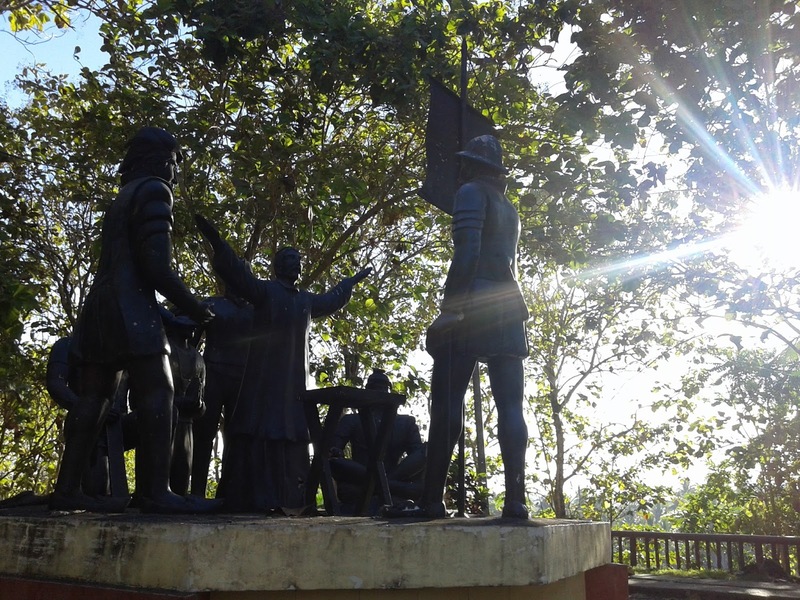 A statue with Ferdinand Magellan, Kalambu, King of Butuan, and Siaui, King of Mazaua commemorating the mass can also be found on the ecopark. Tables and shed pavilion are available in the area for those who love to have picnic and be one with the nature since the area is full of trees. 2. 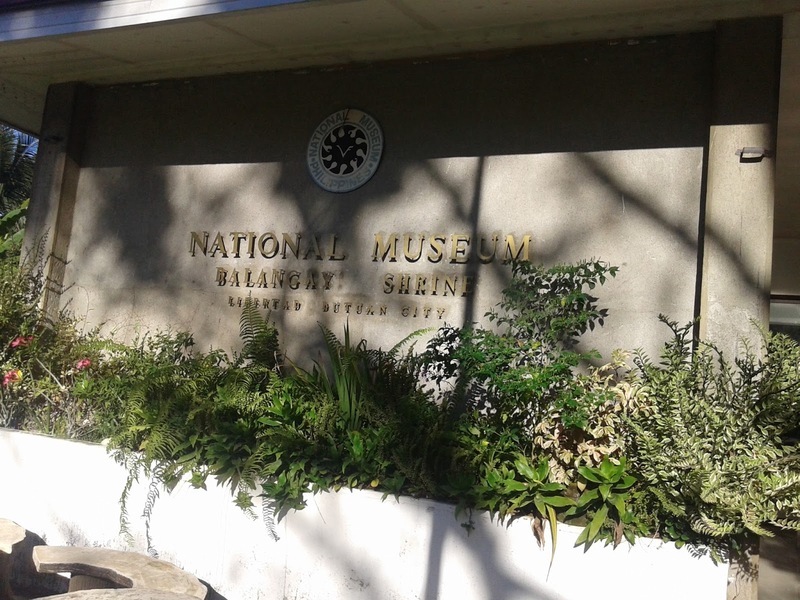 Balangay Shrine Museum- Balangay Shrine Museum is a one-storey building that serves as a unit of the National Museum. It is located in Barangay Libertad and it houses the remnants of Seagoing Outrigger Boat or Balangay. 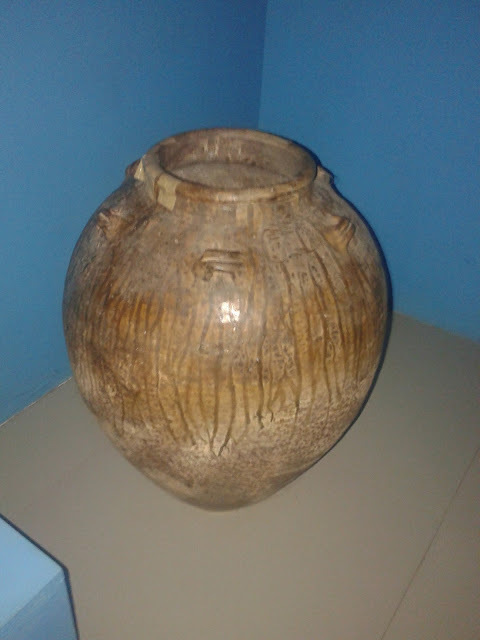 The former is used by a community of settlers to go from one place to another, thus the name barangay or community, is driven .It is said that the Balangay is one of the oldest known artifact in the country. 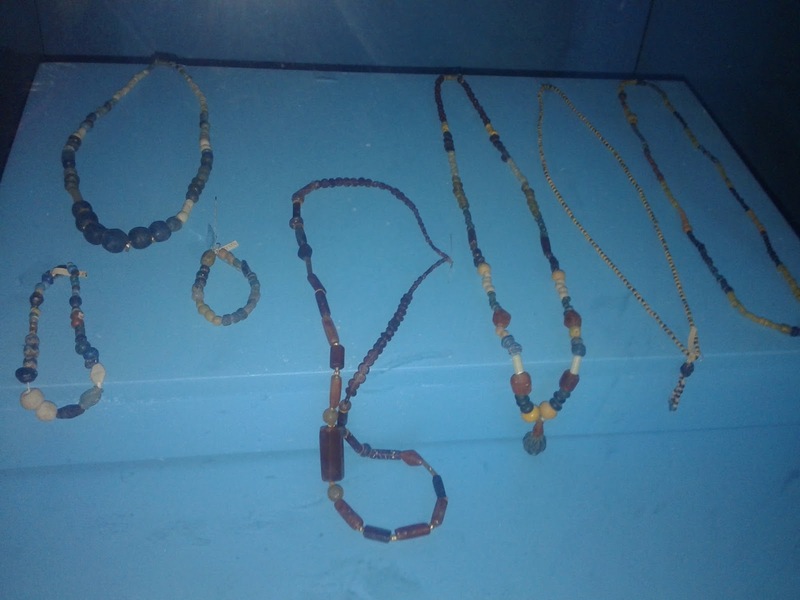 Majority of the Balangay were excavated in Butuan. When I was there, they are carefully digging their latest find in Barangay Libertad and at the back of Toyota Showroom. 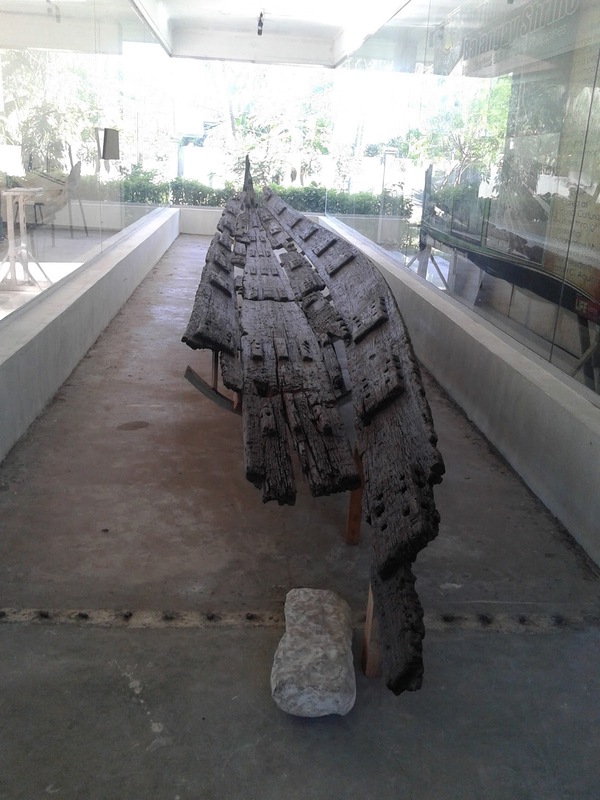 Aside from Balangay remains the museum also houses remnants associated with the boat like coffin, human remains and other relics, it was said that the coffin burial remnants lead to the discovery of the boat. The coffin that they found along with the Balangay has 14th-15th century material and measures about three meters. Deformed skulls are also displayed in the museum. 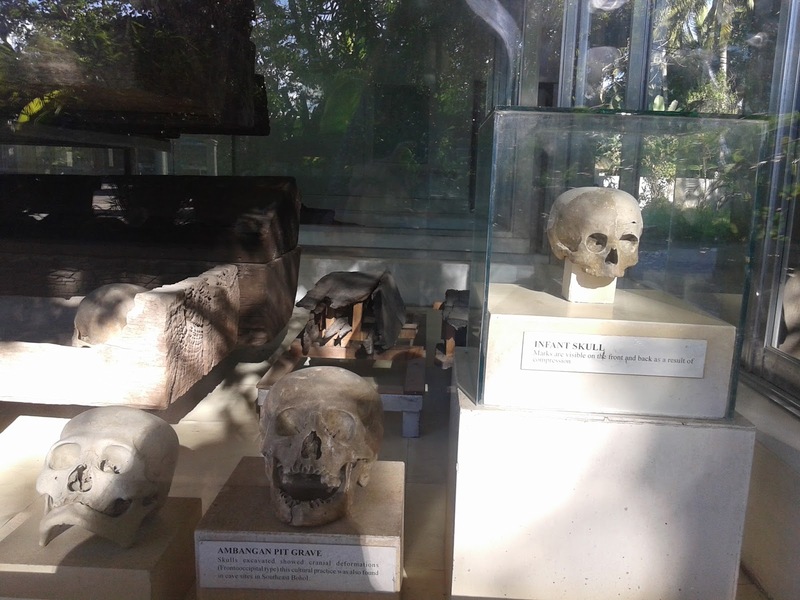 According to the guide, the deformed skull are owned by royalties during their era. 3. 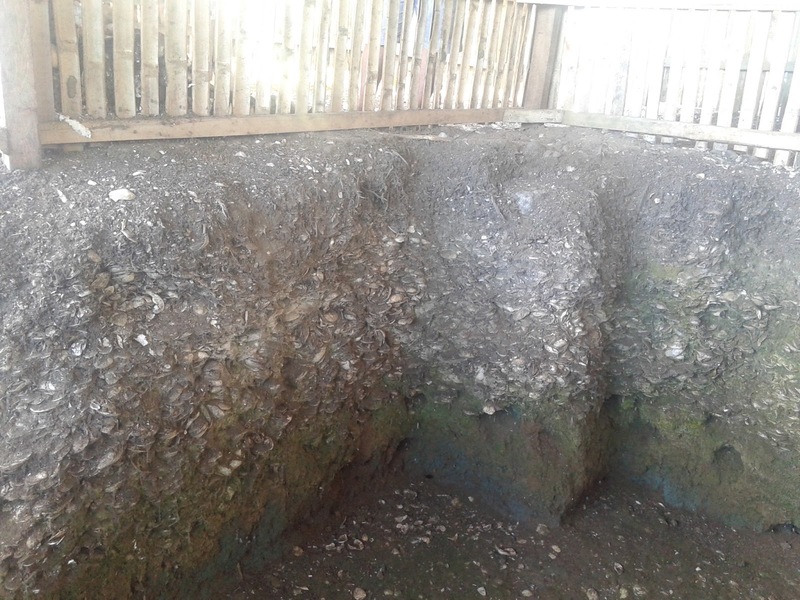 Bequibel Shell Midden- Located in Tuway, Bonbon, Butuan City is one of the oldest shell midden or trash of prehistoric people. 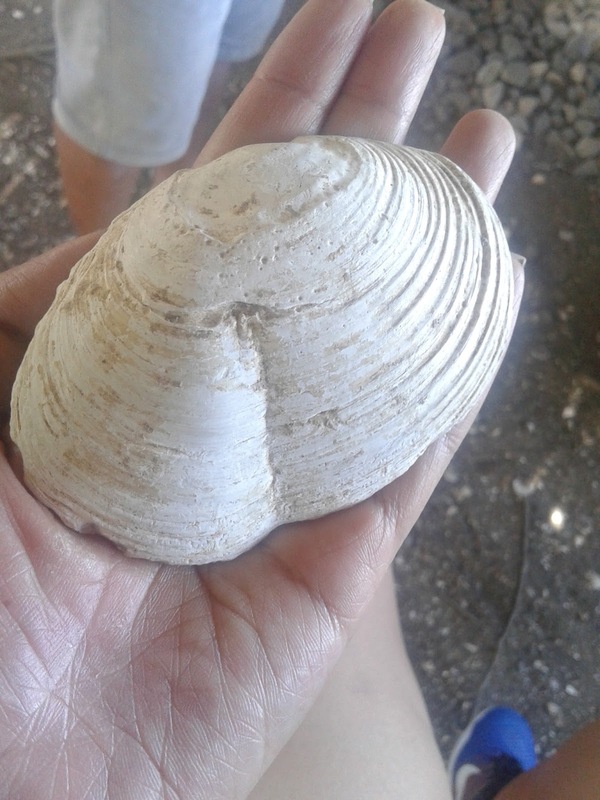 Shells found in Bequibel are layers of fresh water shells and was said to be present over 7,000 years ago. Stone tools and ecofacts were also retrieved in this area. Bequibel Shell Midden is maintained by Bequibel family but when I was there the municipality of Butuan is planning to buy the property so that they can improve the facility of the latter. 4. 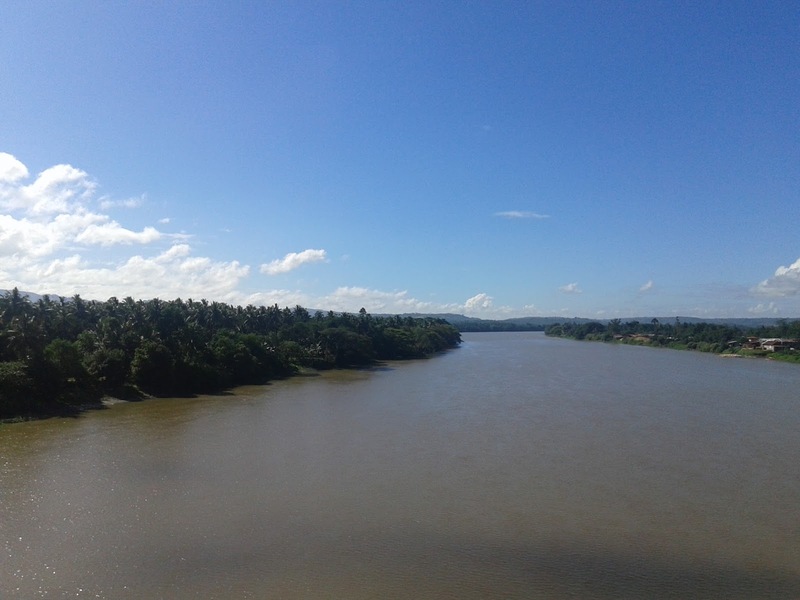 Agusan River- The third longest river and largest river basin in the Philippines. The headwaters of this river is found in Compostela Valley mountains and drains in Butuan Bay in Butuan City. It has twelve tributaries that runs to streams and creeks. I took a glimpse of the river in Diosdado Macapagal Suspension Bridge. The bridge serves as the fastest venue to go to in Butuan City or outside cities and municipalities in north or south. The guide took me in the middle of the bridge so that I can see the river and to take some pictures of it but I hardly capture one because it feels that I am having a vertigo whenever a truck or even a car pass by. Artifacts were also excavated along the river side. 5. Butuan National Museum- My city tour's last stop was Butuan National Museum. I love going to Museums because I can get a sight of what was used to be. It enables me to learn and understand my traits and the people around me. I excitedly enter the museum but was devastated to know that they don't have electricity at that time. Luckily, one of the docent offer a tour and walk me through the museum with a flashlight. The docent, even though it was hot on some of the rooms, introduced us to the rich culture and heritage of Butuan. I can see how proud she is while doing such. The museum brought me back in time through the display of prehistoric tools for boating, catching fish and cooking , accessories worn daily by our folks and even on their deathbed, wares traded by other Southeast Asian counties, balangay found in different locations of Butuan, coffins and animal and human remnants. 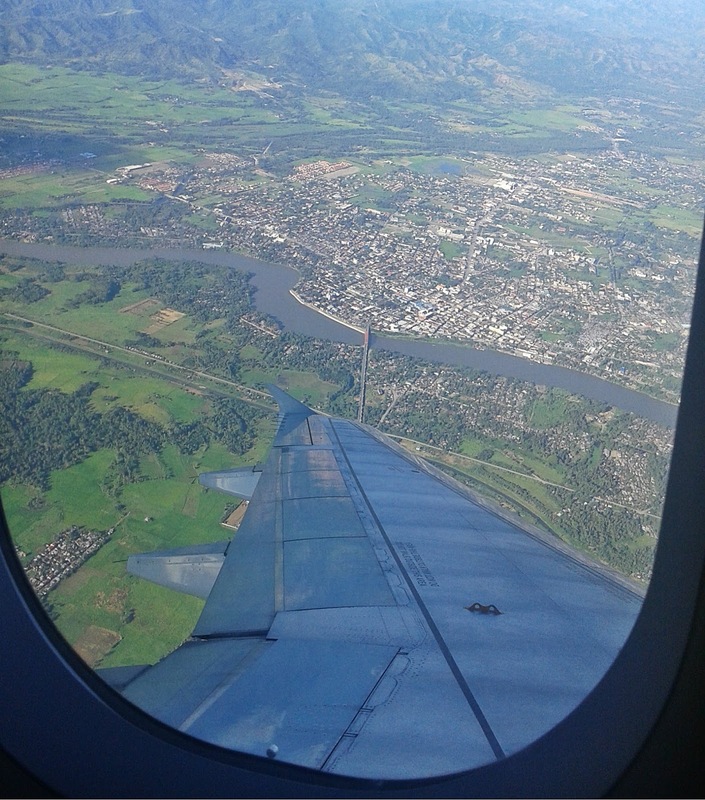 Butuan City did surprise me! I never expected that visiting this place would made me learn a lot about our culture and realize how rich our heritage is. Indeed the "Gateway to Northern Mindanao" is the portal in uncovering our Mindanao's abounding civilization through passing time. Nice! Back when I was in business, we have customers in Butuan, but I have never personally visited them. With your post, I have learned something I should have known years ago. I like that they have relics from the 14th century. Here sa Manila, merong mga museums "kuno". LOL. Very nice post. I love learning about new places. I especially like what you wrote about visiting the museum, because I can relate. You learn about your culture, background and heritage. Very nice. Havent been to any museum when I had my trip to Butuan years ago. I used to frequent the place to conduct training for sales people. Now, I miss the place and the people. People of Butuan are generally cheerful and approachable. Thanks for giving me an idea of Butuan! I would hear the province frequently mentioned during my childhood, because my yaya growing up was from this province. Oooh, I didn't know that they had their own airport. I always thought that one had to take the CDO-Misamis-Butuan route to get there. I've heard a lot of beautiful stories about Butuan from a few friends who have been there. I hope to visit the place in one of my future trips. Agusan river looks so murky, as if an alligator is living there, ready to eat you alive. LOL! If I am correct, this is the film location of BWAYA. I haven't been to Butuan but been meaning to ever since! I didn't know Butuan has so many things to share. I have a friend who grew up in Butuan. She rarely shares about her province but this is something I'd definitely love to ask to her. I haven't as of yet left the United States. Everytime I visit blogs like this one, i fall in love with the destination city and swear that's going to be the first that I visit! I really do appreciate the 1st hand information though so hat when I do start planning, I'll have a real idea what I'm getting into. That is an awesome list! !Will surely keep these places in mind!! What great pictures! A friend of mine is from the Philippines and his parents are still there. I plan on visiting someday! Great article! How did you avail a jeepney tour of Butuan City? You just look outside the airport?